Is it time to welcome a new baby to the family? What a joyous celebration! Although traditionally baby showers are given for first time moms, a new trend is to support experienced moms who are just as excited to welcome number three, four (or more!) with a baby sprinkle. The idea is that major items like the baby bed and high chair are taken care of, but everyday necessities might need to be replaced. Although gently worn clothing begs to be used again, who wants to put a brand new baby in worn and stained garments? And it could be that colors need to be pink instead of blue this time around. 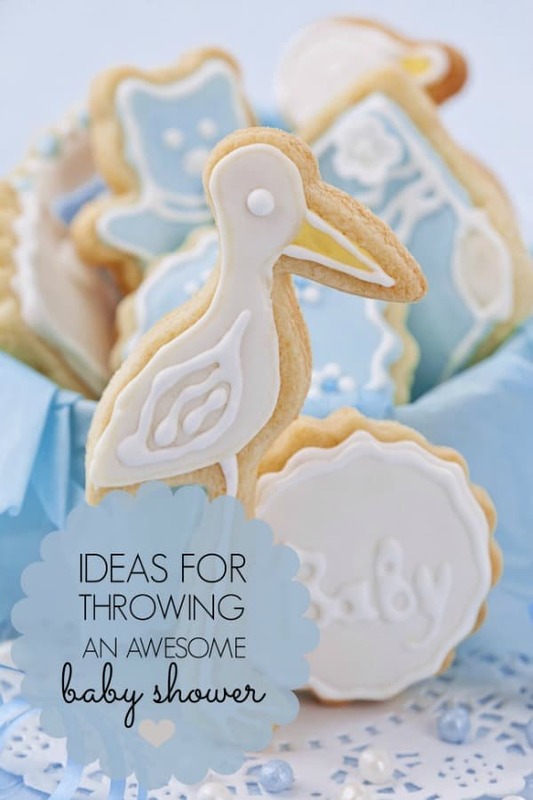 These great baby shower ideas can be applied to all types of baby showers. Whatever the situation, a baby shower or sprinkle is a welcome gifting for mom and baby. To host the event, a first consideration is the theme for the party. The theme is kind of like the hub of a wheel and all other facets radiate from that decision. Think about if you want the shower to be casual, elegant or something in between. Is there a seasonal tie-in that would be meaningful? How about a favorite color scheme? Do you want the party to focus on mom or new baby? If you’re pampering mom, then what are her interests/hobbies and how can you plan a party that will refresh her? If the focus is more on new baby, then nursery rhymes or favorite characters (like Pooh, etc.) can provide inspiration. Your theme decision will help you decide on these main party components: invitations, decorations, menu choices, activities and guest favors. This is where you really start to have fun! You can go to the store and shop ‘til you drop if that is your bent, but there are many terrific party collections that you can download and customize too. You can even find free printables to choose and use so your shower budget can be spent more on food and favors. Hosting any party takes thought, planning and work, but welcoming a new baby to the world is one of life’s sweetest celebrations and well worth the effort! Find more baby shower specifics and visual inspiration on my blog, Spaceships and Laser Beams.